It’s time to switch up your routine! Volume training is a method of training where you’re muscles become victim to lots of sets and reps. It is a proven method which works for many and it’s necessary at some point in a training routine for most people. In an era where high-intensity training is so popular, we’ve learned to spend as little time as possible in the gym but sometimes less is not always more. What few people know is that they may not be doing enough where training volume is concerned. In the 70’s, 80’s and even 90’s, high volume training was the way athletes built amazing physiques (Tons of reps and frequent training sessions). Now, we’re not saying you should do thousands of reps per workout (It would be too taxing on your body) but 4-time Mr. Olympia Jay Cutler’s way of training is a perfect example of just doing enough high volume in a workout to get stellar results! We want to run you through the basics of volume training, give you a few hacks for maximum effectiveness, and we’ve also provided an amazing quad routine Jay Cutler implemented to take his legs to a new level of growth. 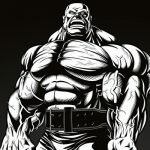 So How Does Volume training work? For volume training, the ability to keep pumping out sets and reps is key. You want to keep the weights to a moderate resistance level and perform drop sets when possible to keep the set going. The nature of volume training can be exhausting and one can overtrain but if done properly, it provides impressive gains. Now, since we all have different levels of physical fitness, it’s important to not jump into too much high volume training too quickly. Achieving a great looking body takes time but as long as you progress in your training, the results will come. Volume training is a great tool which has many benefits pertaining to muscle growth and conditioning. So let’s start with the most important aspects of volume training (The basics). Train a body part no more than once per week (Abs and calves may require more). Perform a minimum of 20 sets per large muscle group (Legs, back, chest). Perform a minimum of 15 sets per small muscle group (Shoulders, arms, and calves). Workout no less than 5 days per week to prioritize and hit each muscle group effectively. Only lift moderate weights as to not tax your nervous system and perform more reps.
Do not go to failure during sets since high volume is very intense. Utilize a variety of exercises to stimulate a muscle through several angles. Do around 2-4 sets per exercise. Use drop sets to pump out more reps as you become exhausted. Do not perform more than 15 repetitions as your intensity will decrease quickly. Here’s the high volume training routine Jay Cutler did in 2003 which helped him to build some amazing wheels. Volume training is something you should definitely work up to so if you’ve been training for a while then give this a shot and watch your quads grow! Volume training is tough but it yields results and there’s no doubt about it!